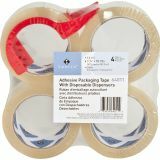 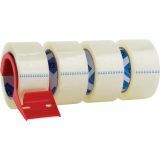 Sparco Heavy Duty 2" Packing Tape with Dispenser - Heavy-duty packaging tape includes a dispenser. 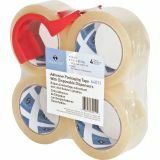 Hot-melt rubber adhesive provides a firm and strong bond. 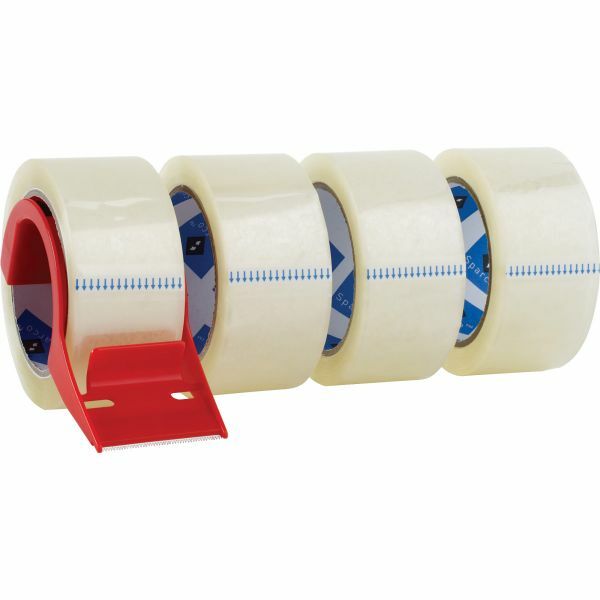 Tape resists tearing, splitting and breakage and offers a 3 core and 3.0 mil thickness."